Delphine Saint Quentin, Associate Engineer holds a European Masters in architecture and sustainable development, works on many projects on environmental performance. Communication : « BBC for all » – a collaborative approach to design efficient buildings. Dr Marlyne Sahakian is Research Associate at the University of Lausanne’s Faculty of Geosciences and the Environment, Industrial Ecology Group. Her work on sustainable consumption, related to food and energy, has drawn from social practice theory and focused mostly on the context of South and Southeast Asia. She is interested in inter- and trans-disciplinary approaches to understanding consumption, in relation to environmental and social considerations. Her latest research is on the electricity consumption of urban households in Western Switzerland, using social practice theory approaches and towards Swiss energy transitions. Communication : Addressing household electricity consumption in Switzerland: understanding social practices and uncovering norms and values. Phd in Sociology from the Paul Valéry University of Montpellier, Thomas Seguin is also postgraduate of the Institute of European Studies of Brussels, and graduate of the Institute of Political Studies of Grenoble. Specialist of postmodern current of thought, he is currently Associate Professor at Galatasaray University in Istanbul. He is namely the author of two books published at L’Harmattan in 2012, Le postmodernisme, une utopie moderne and La politique postmoderne, généalogie du contemporain. Communication : Another Economy : Towards a Dialectics between Energy and Society . Catherine Sémidor is professor EA ENSAPBx, Doctor of Physics, Scientific responsible of the -GRECAU ENSAPBx laboratory. Communication : Innovative metrology and eco-behavior supporting energy transition: the MIUSEEC project within Darwin. Doctor in geography, Bruno Sabatier conducted researches in social sciences applied to town planning and housing, firstly in Toulouse 2 university then in Cerema Normandie-Centre. He took part in symposiums and wrote papers, especially about residential strategies and urban habits. Communication : Occupants as main actors of energy efficiency durability in buildings. Dr Elena Simakova is Lecturer in Innovation at the University of Exeter Business School (UK). Her research interests can be summarised as the governance of science and technology in the context of Responsible Research and Innovation. Simakova, Elena (2012), Marketing Technologies: cultures d’entreprise et des changements technologiques, Londres: Routledge. Simakova, Elena et Christopher Coenen (2013) “Visions, Hype, et Espérances: une place pour la responsabilité”, à Owen, Richard, John Bessant et Maggy Heintz (eds. ): Innovation Responsable : Des théories aux pratiques, Wiley Publishers. Communication : Performing wave in policy and technoscience: developing an STS approach in the sociology of energy. An Architect by education, Daniel Siret holds a PhD in the Engineering sciences and is qualified to supervise research. His work deals with the ways in which sensory dimensions are taken into account in the built environment, especially with regard to the architectural and urban expression of solar radiation. He is a researcher for the French Ministry of Culture and Communication, and Director of the Research Unit CNRS/MCC/ECN Ambiances Architectures Urbanités, that brings together CRENAU and CRESSON, two labs of the Graduate Schools of Architecture of Nantes and Grenoble. Communication : Survey methods in shopping areas: the flow of knowledge as a construct of the energy efficiency. Benjamin K. Sovacool is Director of the Centre for Energy Technologies and Professor of Business and Social Sciences at Aarhus University in Denmark. He is also Associate Professor at the Institute for Energy and the Environment at Vermont Law School. Professor Sovacool received his PhD in science and technology studies from the Virginia Polytechnic Institute & State University in Blacksburg, Virginia. Communication : Automobility in Denmark. Hélène Subremon is a sociologist at Saint Gobain Recherche. She received her Phd in Sociology in 2009. Previously, she was a research fellow in l’Ecole des Ponts ParisTech where she developed her own research projects on usages in various contexts such as innovative buildings, fuel poverty in France and abroad. Communication : Coriolis in use: an efficient building in question. French geographer, he holds a Master’s degree in Environmental Geography from the University of Strasbourg. He is currently a doctoral assistant at the LaSur Lab (Laboratory of Urban Sociology) at EPFL , where the objective of his PhD research is about the link between the lifestyles of french individuals and their energetic consumptions within and outside their homes. Communication : From residential location to energy consumptions in the house and through mobility. Charlotte Tardieu is a PhD candidate in urban planning at the University Lille 1, after a degree in environmental sciences and policies. Her research focus on the integration of energy issues in urban development projects. Tardieu, C., 2014, “L’énergie dans les projets urbains : analyse des pratiques”, Urbia, hors série n°2. Tardieu, C. Colombert, M. Diab, Y. Blanpain, O. “Analysis of the integration of energy issues into a multi-scale urban project – Paris Nord Est case study (France)”. In: The 6th Knowledge Cities World Summit, 9-12 septembre, Istanbul, Turquie. Communication : Conditions for the implementation of the energy transition in urban development projects: a case study analysis. Paris Rive Gauche, Paris Nord Est and Clichy-Batignolles (Paris, France). Michel Teule works as a sociologist at CERFISE, starting from the end of the 90s, he has been exploring the uses and practices of energy in relation to the problems of management of habitat. He has participated in various research actions with ADEME, The PACA region and PUCA (Urban planning, building work, architecture – Ministry of territory management) among others in research programs “buildings at horizon 2010” and “territory politics and sustainable development”. He participates with PRIDE CAPENERGIES in actions of setting up smart networks and developing a socialized culture of energies. Communication : Users expertise as a core concept in energy transition processes. Board researcher, his work focuses on interventions and dissemination of technical innovations and resistance to change in terms of relations between cultures, practices, regulations, techniques … in housing. Communication : The pollution caused by the energy transition: the case of thermal insulation. Communication : Between design and occupation: the “intermediate players” in energy efficient tertiary buildings. After a Master degree in Engineering Survey in Sociology, Léa Thonat joined the Research and Technology Division of GDF SUEZ as a research engineer in sociology. Previously invested in energy issues at the Construction sector, today it is conducting research on the development of products and services incorporating the needs and expectations of end users. More specifically, his studies focus on the evolution of energy practices, fuel poverty, the smart grid or the perceptions of non-conventional energy. Communication : A socio-geographic approach for understanding the link between urban practices and energy practices. Aurélie Tricoire, PhD in sociology, has been working at CSTB, Economics and Social Sciences Department, since January 2010. She specialized in Sciences and Technology Studies and in Sociology for Innovation. Her research topics are dealing with the impact of innovation spread (innovation for products, process or organizations) on building sector actors (client, project designer, contract owner, inhabitants, etc.). Her approach in sociology for sciences and technics and economic sociology focuses on three issues: 1°) study of technical innovations and acceptability by users; 2°) new markets; and 3°) renewal of skills and professions with emerging tools, know-how and work organization. Communication 2 : Reflection on the part of the sociology of energy in building sector. Eric Triquet is associate professor, ESPE (Ecole Supérieur du Professorat et de l’Education) – Grenoble, S2HEP laboratory, University of Lyon. His research explores scientific mediation. 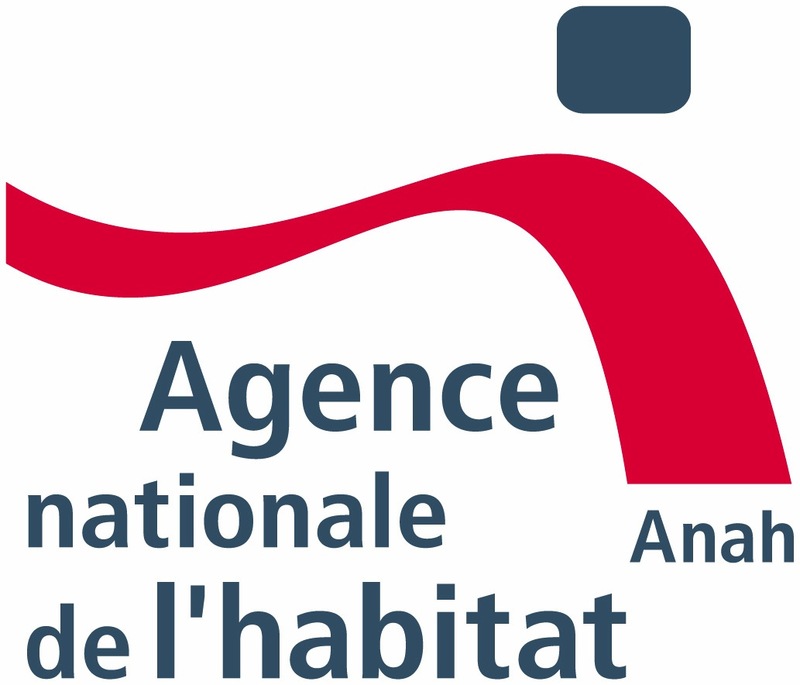 Communication : Communication and behavior change: an analysis of 40 years of communication campaigns of the French agency for environment (ADEME) for cutting energy consumption of dwellings. Since 2006 Lidewij Tummers is part-time tutor and researcher in the Chair of Spatial Planning and Strategy, Department Urbanism, Faculty of Architecture and Built Environment of TU Delft. Central research themes are: the position of citizens in planning systems, spatial criteria for inclusive design, decentralized renewable energy networks, participatory design processes and a gendered perspective of spatial planning. She has published a number of papers and chapters on Gender & planning as well as on co-housing, and is founding member of international networks of planning experts such as COCON network of co-housing researchers and the European network Gender, Diversity and Urban Sustainability (GDUS). International collaboration includes guest professorship at Leibniz University Hannover (2009-10; 2013); Le Studium Research fellow at Université François Rabelais in Tours (2011-12) and genderSTE short stay grant at Brunel University London (2014). Tummers acts Europe-wide as consultancies on gender aware planning for municipal and regional departments for Urban Development. In her hometown Rotterdam, she is an independent technical consultant for grass-root housing coops and renewable energy initiatives. Communication : Co-housing: a change of roles? Benoit Urgelli is associate professor, University of Lyon (France). STEM Education and Communication. ICAR laboratory (Interactions, Corpus, Apprentissages, Représentations), Ecole Normale Supérieure de Lyon. His research explores why and how teachers and scientists are involved in communicating socioscientific and controversial issues. He discusses the implications for ethical and communicational postures in classroom contexts, and for teachers’ personal development related to teaching science, citizenship and democratic education (Hess, 2005 ; Sadler, 2009). Laura Vanhué worked as researcher in the French Institut CSTB around sustainable development issues (urban and energy). She had been working several years as senior advisor in european institutions and finally she works today as consultant, expert on funding and financing issues. Communication : The use of European structural funds for the financing of energy efficient refurbishment of housing. Hugues Vernier works at the “Communauté de Communes du Val de Drôme / Biovallée” (local authority), where he’s in charge of agriculture. Communication : Dependence, independence and interdependence: a socio-agronomic approach of the commitment of organic farmers in the energy transition. Yann Vuylsteke received his master in sociology “recomposition of the contemporary world” speciality ” Méthod Diagnostic Sociological ” at university of Nantes in 2014. Communication : Public lighting as revealing the relationship between public administration and citizens.